To enter to win Premiere Day 4 Featured Products...continue reading! 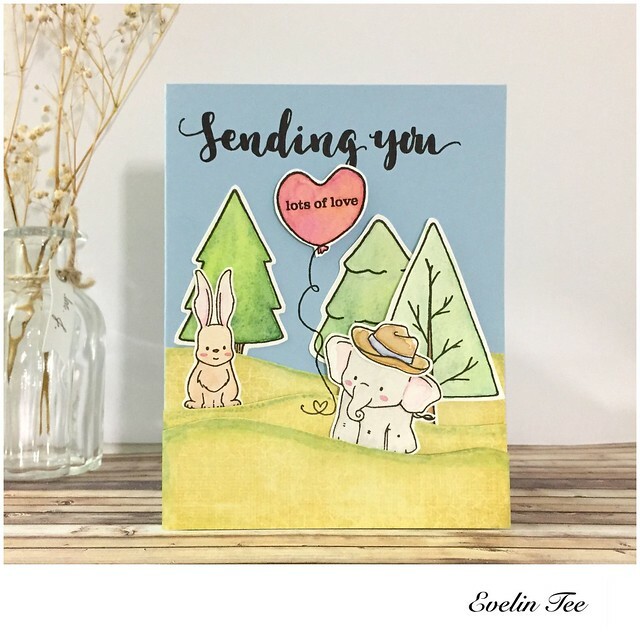 A natural companion to yesterday's Big Hugs with Evelin T Designs and Sketchy Thoughts is the adorably sweet Welcome to the Family with Evelin T Designs which is filled with baby animals. 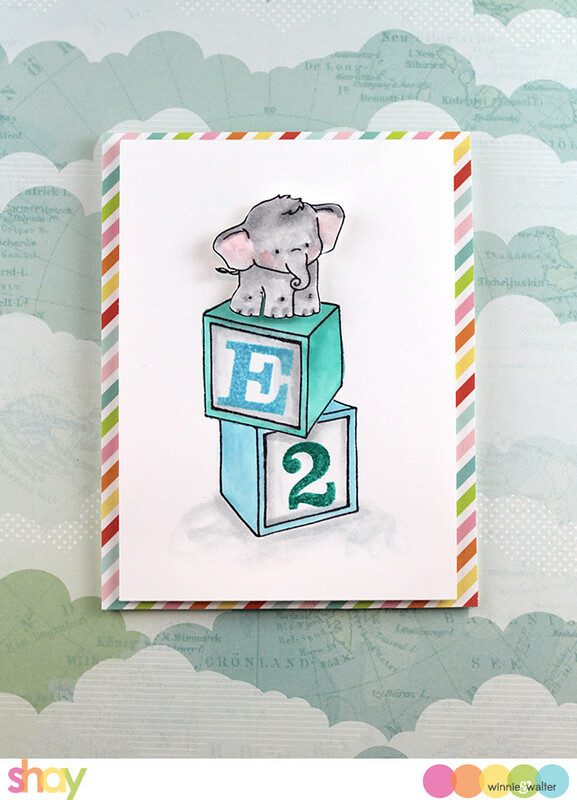 We are also introducing coordinating cutaways for Welcome to the Family with Evelin T Designs. 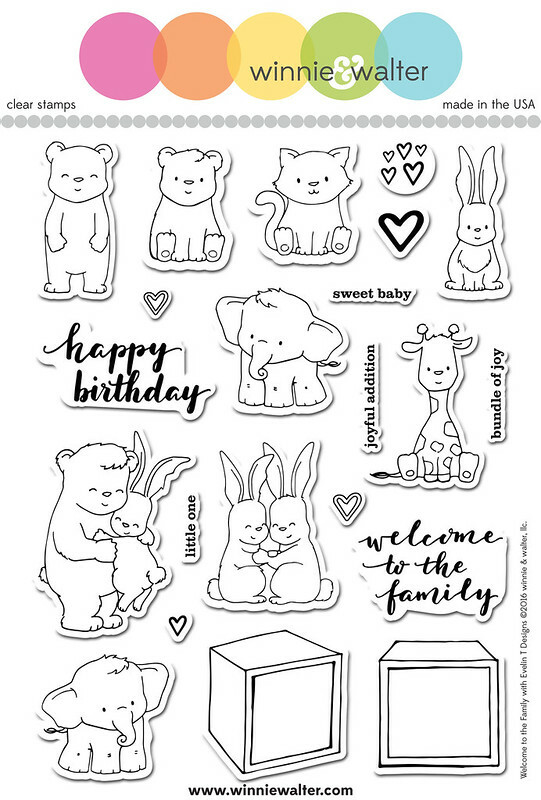 Today is also the introduction of Typecast: Cary Letters Cutaways and Typecast: Cary Numbers Cutaways which work rather well with the baby animals and the blocks included in that set. 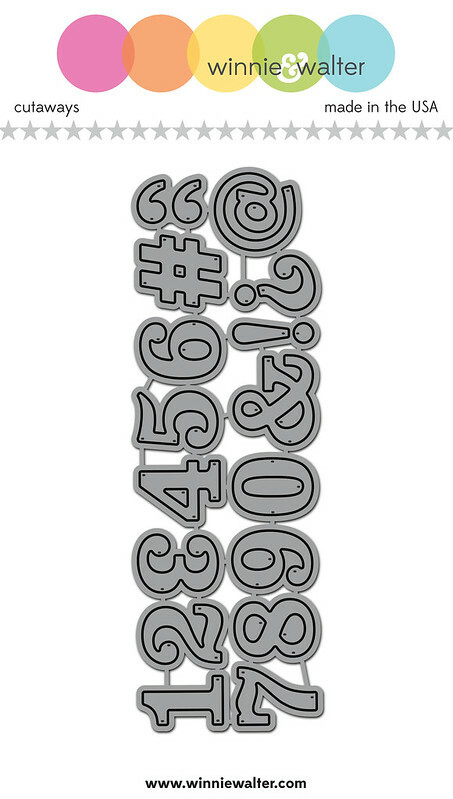 Add an initial or number to make it personal! Typecast: Cary Letters Cutaways and Typecast: Cary Numbers Cutaways are the exact same size as Typecast: Cary stamp set. 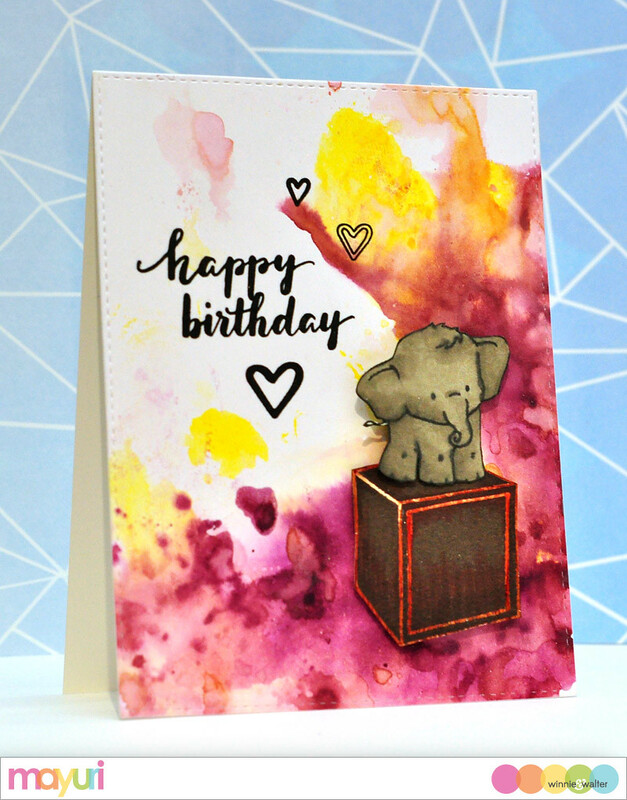 For my young cousin's 2nd birthday I made him a little card using the uber-adorable elephant from Welcome to the Family with Evelin T Designs standing atop two blocks. I stamped my cousin's initial on the top block and the number 2 in the second block for his 2nd birthday. Both initial and number come from the Typecast: Cary stamp set. I finished with a border of bright happy patterned paper. On a block kick I created another birthday card using the blocks from Welcome to the Family with Evelin T Designs and the Typecast: Cary Letters Cutaways and Typecast: Cary Numbers Cutaways. For the blocks I colored them in with colored pencils and cut them out with the coordinating cutaways. I attached the blocks to a background cut out with Typecast: Cary Letters Cutaways and attached to a base of black cardstock. Today I am joined by the incredible Evelin Tee of Evelin T Designs and the Talent. Please be sure to click the links to their blogs and leave them some love. 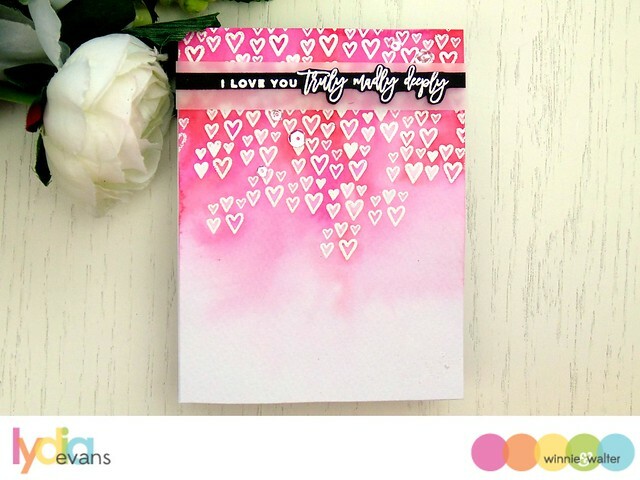 Comment here on this post for a chance to win Welcome to the Family with Evelin T Designs stamp set + Welcome to the Family with Evelin T Designs Cutaways + Typecast: Cary Letters Cutaways + Typecast: Cary Numbers Cutaways of your own by 11:59 p.m. (central standard time) February 3, 2017. One comment will be chosen at random. Welcome to the Family is filled with the cutest animal friends. 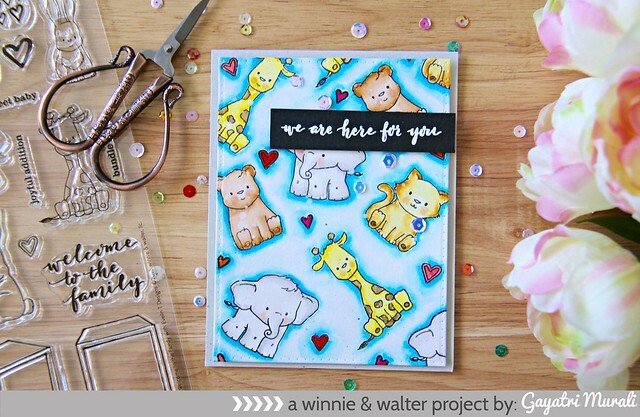 I love this set and can only imagine how many wonderful cards that can be made using the stamps and dies along with the alphabet dies that are all a part of this wonderful release. Thank you for sharing! Have to agree with the above post by Laura everything she says is almost word for word of what I was going to say. So all I can add is. This release of stamps and dies are just superb. And I love all the talent that's shared with us. Thankyou. Oh my! What a darling collection of baby animals! They look like they crawled right off the pages of a children's book. So sweet and so gorgeous coloured in the no-line colouring style! What fabulous illustration. Completely smitten with the baby animals; darlingness in every way possible! The showcases...oh my! LOVE! Those blocks are the coolest things ever and I love the baby critters. Great projects! So excited about Monday too!! Oh my goodness, what's NOT to love about this release! The talent has showcased this release to the MAX! I am SO inspired! I love the critters! 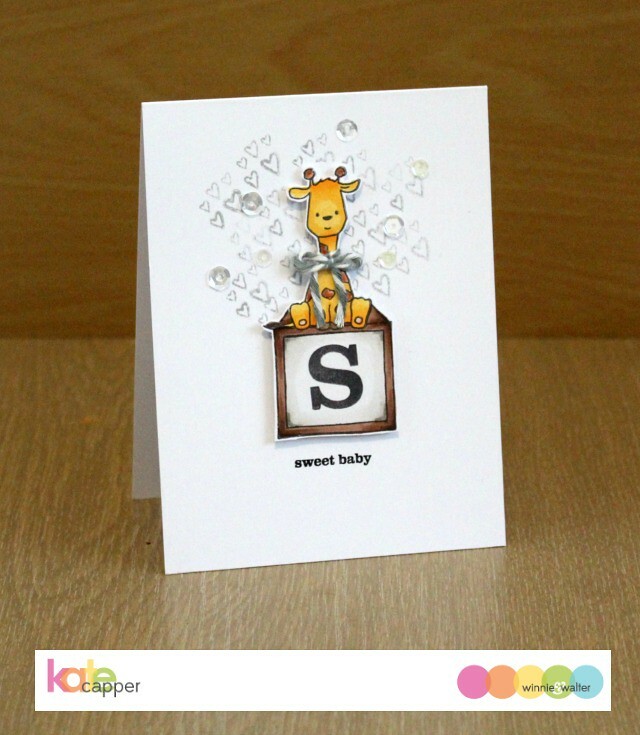 But your alphabet is so adorable too... Great card designs in this post. I think your little critters are absolutely fab - so cute! Awesome products in the new release, definitely a must have. The animals in the welcome to the family set are super adorable!! I love the dt creations, all of them are so cute and inspiring. Super cute images!!! Love the new products!! Welcome to the Family is so cute! And I love the new cutaway letters. Welcome to the Family is absolutely adorable! Love the set! And the alpha and numbers die sets are fabulous! Love the way these all tie together for samples! Amazing cards! What sweet stamps and sayings. Great way to end the release. Thanks for all the inspiration. Oh my goodness--wonderful new products & so versatile! Love the variety of projects by you & the DT, Shay! Hurray--I'll pretend your BD celebration is for my Feb BD--haha! 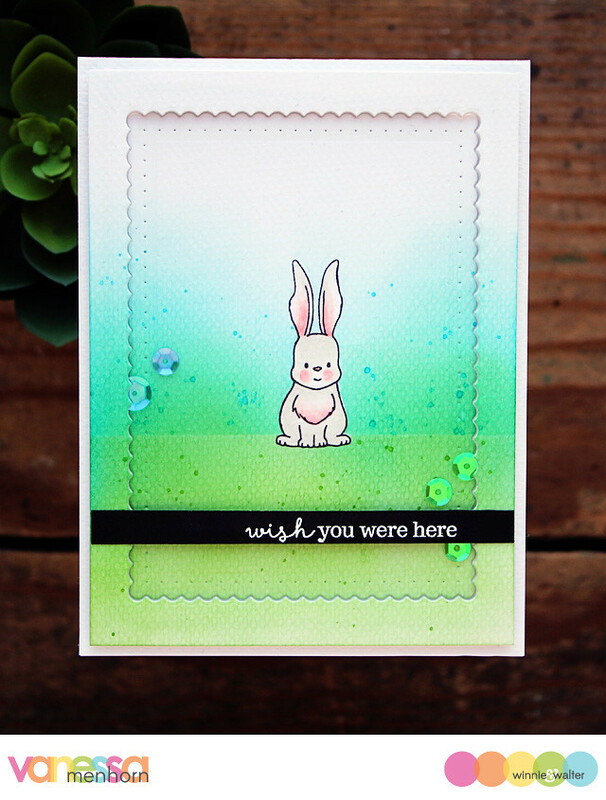 Awesome inspiration showcasing this cute new stamp set and the versatile cutaways! Awww! They are so cute! Beautiful release, loving those letters! Oh my! These new stamps are beyond adorable!!! Love all of the cute sample projects too!!! Welcome to the Family is my favourite set in this release so far!!!! ADORABLE! O my God..these animals are so adorable! And the blocks are so cool! Oh my goodness! Absolutely darling cards, I need a new baby set so much and this looks perfect!! Love those cute little animals. I also like the versatile alphabet dies. 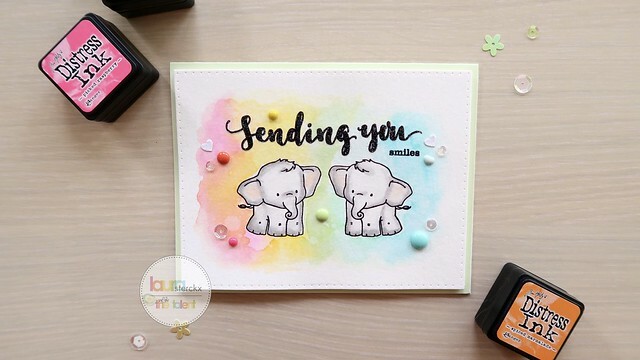 Welcome to the family stamp set is so adorable..Beautiful cards by Design team..so colorful and vibrant. Sweet Welcome to the Family set. The alphabet is a perfect add on. Great cards from all the Talent. Wow the stamps set are so cute especially the Welcome To The Family stamps set! Definitely will buy this one. So sweet and adorable! The design team did awesome job too! More cute critters...gotta have them!! 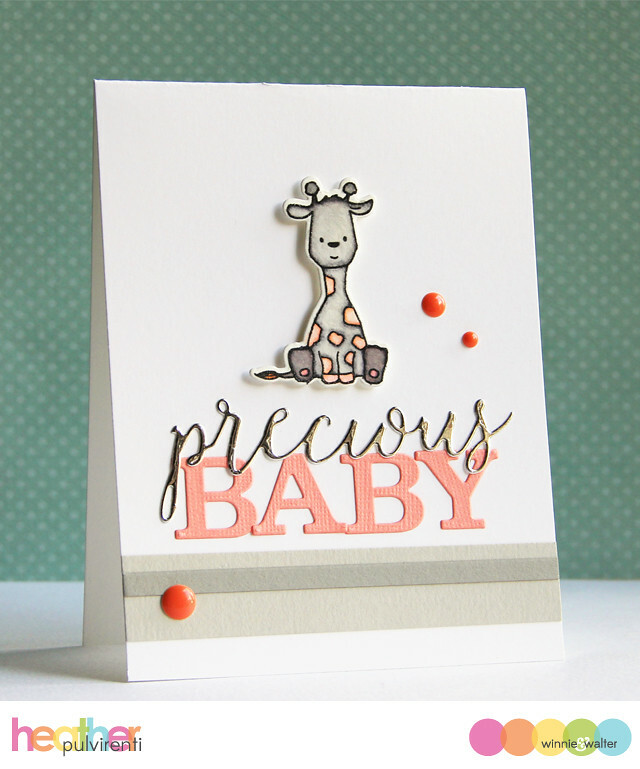 I give a lot of kiddie cards and baby cards so these products are really fun. The critters would be perfect for my 11-year-old granddaughter [remember Lola?] who asked for card-making supplies at Christmas time ... she really knows how to make her Grammy smile, right? Darling cards! fabulous alphas!!! OH MY... These cards are super adorable!! What a fabulous and adorable release! Those little Welcome critters are soooo cute! Seriously this is a must have set! Fabulous sample inspiration projects from your DT too. Thanks so much for sharing all this crafty yumminess! oh my godness more, and more beautiful stamps!!!! I need all!!! I always love seeing new dies and cute critter stamps! Yay for another stamp set with adorable critters :-) Love the letter/number dies, too. Wow! More cute and fun products! 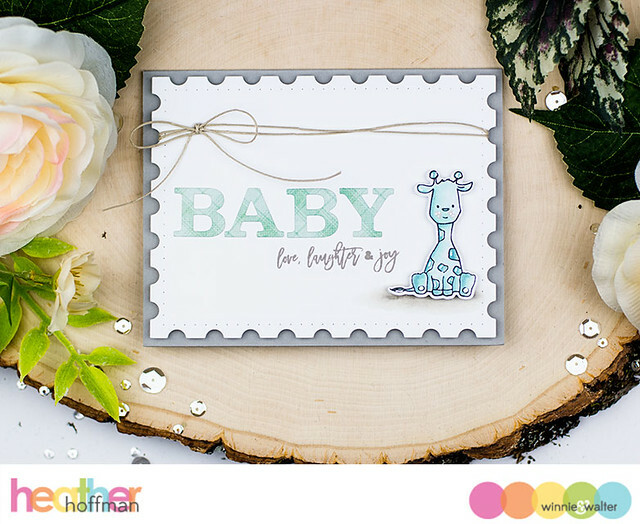 Those baby animals are so sweet, such a fab stamp set and I love the alpha and number die-cuts, a must have for any crafter!!! Adorable baby animals in the Welcome to the family stamp set. Just too cute. Love the sweet baby animals! Oh, and I CAN'T WAIT for the brand new challenges!!! Yesssssss!!! What a great release! And the inspiration from the DT makes me want to get my hands on these new products. Thank you for the chance to win!! Such cute animals! Love all the beautiful designs by the DTs too! Oh my goodness, I am in love! Such awesome stamp sets! Lots of cuteness today! The alphabet dies are awesome, too! Those baby animals are just adorable. So many terrific sets in the release! My wish list is long! I am HUGE elephant lover, so I NEED to get this set sooner or later - so beautifully illustrated and such lovely samples made with it in today's post! Sooo many adorable cards that made me smile! It just keep getting cuter!!!! Fabulous release! Ooh! I love these stamps! The animals are so adorable! Oh now this is seriously adorable! This has been a great release....lots of new things are now added to my list, lol!!! Welcome to the Family is a gorgeous set and these cards show it off beautifully! The entire collection is fantastic. The alphabet and number dies are so versatile and a must for my stash. I like the boxes. It's so useful for birthdays and babies. Love all the adorable animals stamps this release!! WOW - I'm SUPER EXCITED today! WOW! An alphabet! This is going on my MUST HAVE wish list! Welcome to the Family is just adorable and your DT does beautiful work. 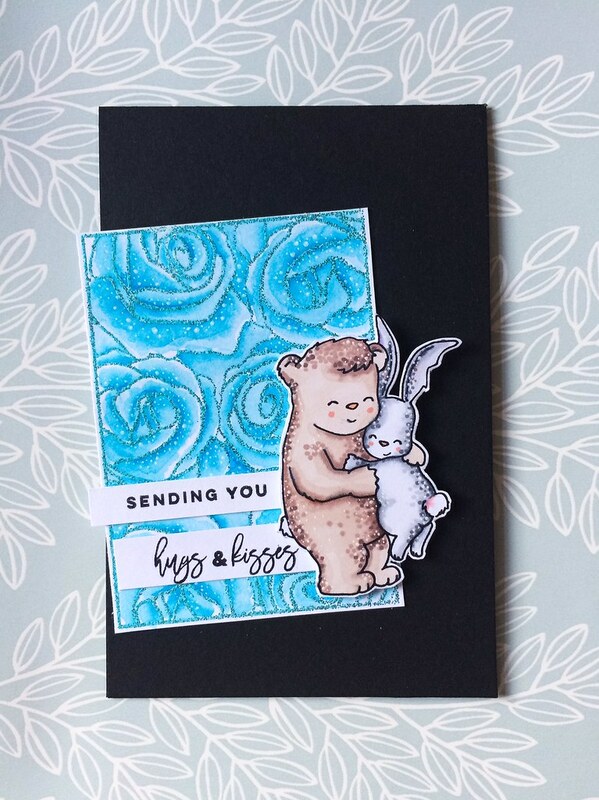 I love the way everyone is combining the different stamps and dies for adorable cards. Evelin T's images are so adorable. I love them all they are just so sweet. Welcome to the Family has so many uses. At first I thought it was going to be for new babies but it is so much more than that! I can't afford to buy many sets during the year but this one is now at the top of my list! So exciting to see all of the cute and loving animals. 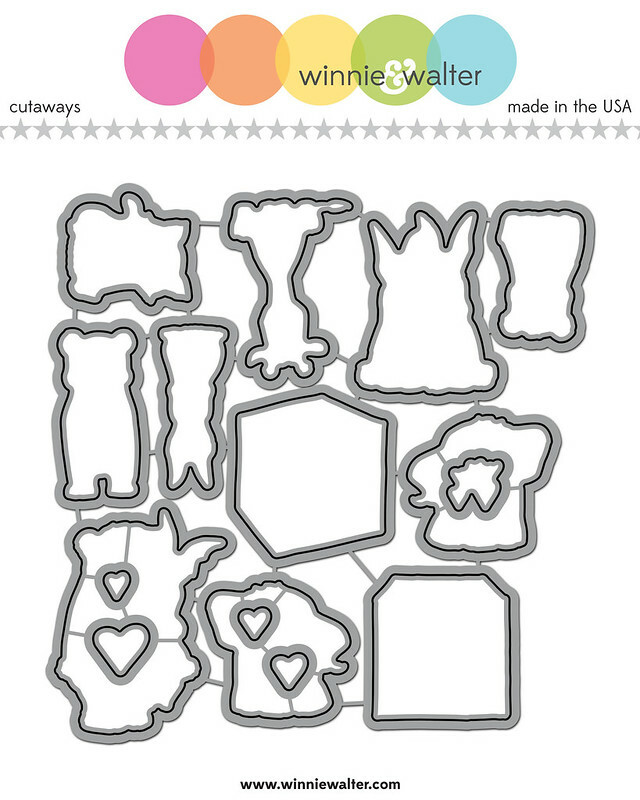 Oh my gosh, what sweet lil critters and the font for the dies is wonderful. Such cute critters, the giraffe is my favorite! I adore the new critters, and the font is so versatile! So so cute! The alphabet and numbers dies are perfect for the baby blocks. Super adorable! Love the entire release & the alpha & number dies revealed today. Such amazing supplies for baby and kids cards!! Super sweet! Adorable little critters! The big alpha dies are great!